Summer’s End — And A Give-Away! I’ve read a whole lot of books this summer. Most of them were read out loud, my kids listening and giggling and sitting in wonder of the places story can take us. 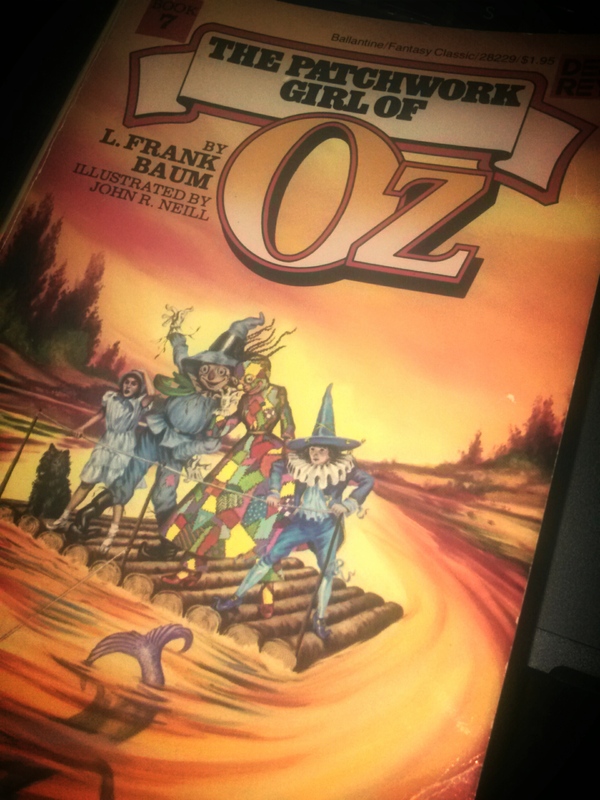 We are on the last of 14 books in the Oz series. Yup. There are 14 of them. I plan on blogging about that experience next week. But I will say this, it’s been good fun. Reading with my kids is one of my very favorite parts of motherhood. As they grow, we’re enjoying the ability to discuss classic literature over PB&J. I’ve even spied on them playing “Wizard of Oz” in our backyard. I’ve read a few books on my own. A couple of really good ones, too. But when I think about my summer reading, I always remember the books I’ve read with my kids. There’s just more meaning to those. So, how about you? What have you read this summer? What’s made it so memorable? Make sure you comment below. It’s an entry to the give away I’m hosting today. Starting Thursday, August 28 and running until the 31st My Mother’s Chamomile is on sale! You can download the Amazon Kindle version for only 99 cents (sorry, folks with other e-readers…still about $4 for you which still is a pretty good price). I’d love to see sales spike during this sale, so I’m trying to spread the word about the sale. So, feel free to share the news about the book sale and make sure you enter this give away! 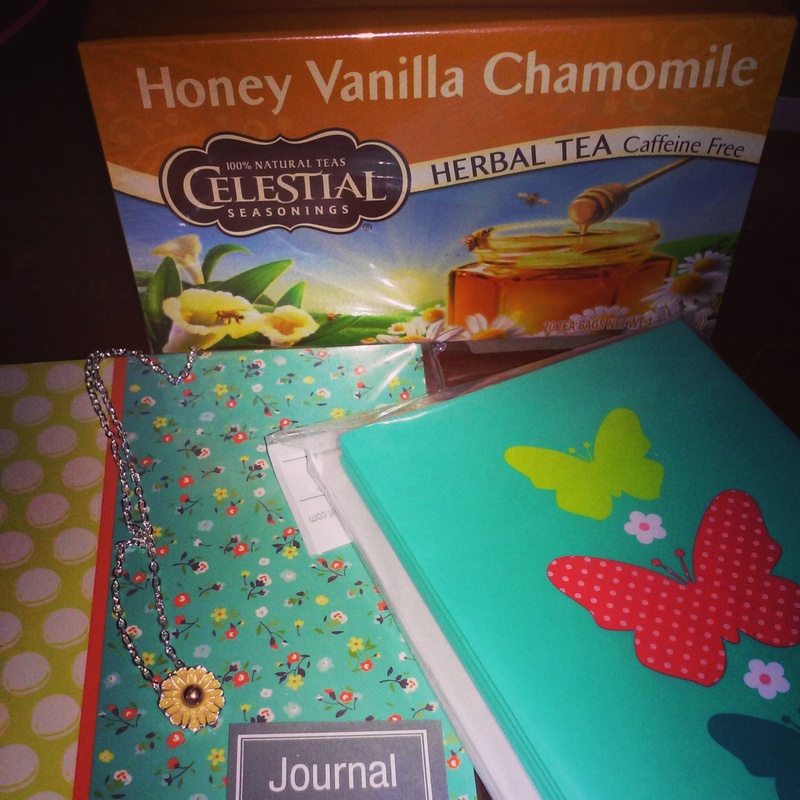 You could win a small journal, note cards, a dainty necklace, and a box of chamomile tea! Enter by clicking the “rafflecopter” give away link below. Remember, you can tweet about the give away once each day until it all ends on Sunday evening! Hi, Susie! I read a ton of books this summer because of breastfeeding every three hours! Thank goodness for my kindle and one-handed reading in the wee hours of the morning. 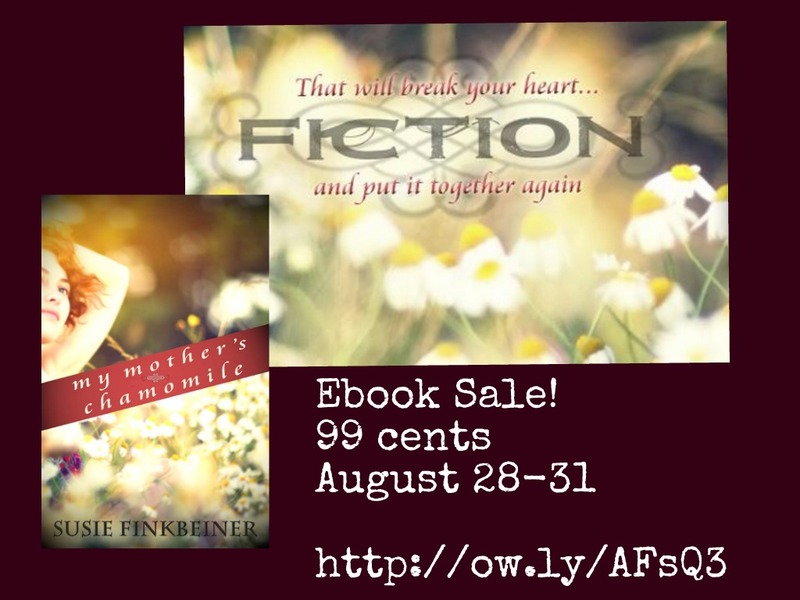 One of my favorites was Surprised By Motherhood by Lisa Jo Baker. I read it twice. It is an encouragement to me in this current season of two small children wearing me down around the clock as well as the monotony and paradoxically chaos of life. Most of the other books were novels, which in general I do prefer. Hi, Elizabeth! How are you? Thanks for commenting! And for the book idea! Also tons of books read this summer. Favorite at the moment is Miss Peregrine’s Home for Peculiar Children. Super fun, fanciful and great writing! 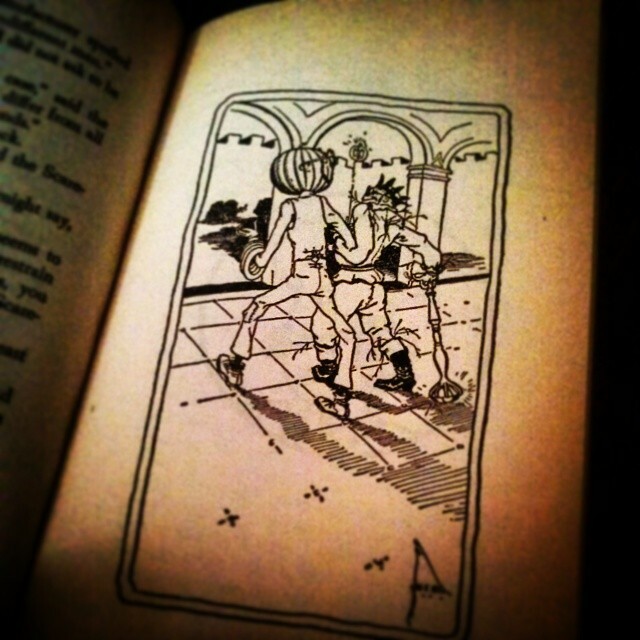 You know I’m totally related to Ransom Riggs, right? I mean…maybe. Riggs is my maiden name. AND good old Ransom looks like about ALL my male relatives. It’s kind of a given, right? Have you read those yet? The Peculair books? I’m currently in the middle of the second. Love all the pictures that go along. I know! Quite a concept, huh? Very creative. At the request of the amazing George Brown, I read a lot of Flannery O’Conner over the summer. I absolutely love her writing! I also read Red Badge of Courage by Stephen Crane, Looking For Alaska by John Green, as well as rereading a couple of books that I read from my C.S Lewis class. It was a busy summer full of reading and writing! Flannery O’Conner is a good choice. I haven’t read Looking For Alaska. It’s on my to-read list. Thanks for stopping by, Monica! I hope you enjoy the beginning of another semester! I’ve read so many good books this summer, both fiction and nonfiction, that I couldn’t begin to name them all! I have found that Christian books have just continued to get better and better as time goes on. I’m so glad to hear you say that about Christian books. That’s super encouraging! Thanks for stopping by, Nancee! And for your continued support. I value you! I have read a lot of great books this summer, but my first one was rereading “My Mother’s Chamomile”. I enjoyed it just as much as the first time!! Thank you so much, Shelana. That means a whole lot to me! The Fault In Our Stars!!!! It was just an all around wonderful book!!! Oh, dreamwriter12…Oh…that book! So beautifully written! Susie, I enjoyed your post , I read so many different books that hard to pick one but I loved A Beauty So Rare because it touched me so deeply emotionally with the depth of the characters and storylines. It is a very inspirational book. I have not read any of your books but just ordered the Kindle version . I am looking forward to reading it. I have read some great reviews of it. I agree there is beauty in death something I would not have understood until 2 years ago after my husbands death. Jackie, thank you for stopping by! I’ll have to look up your book recommendation. Thanks for sharing. I am so sorry about your husband’s passing. I’m glad you can see the beauty in the midst of grief. I read The Butterfly and The Violin by Kristy Cambron – it was such a good book because even though it was fiction it made me realize what some of the innocent people at Auschwitz may have had to endure to survive. Sharon, that book is on my to read list. I’ve heard great things about it! Thanks for stopping by. Oh now I get it. That rafflecoppter thing totally confused me. Okay I read two books that were AMAZING. The first “Alif the Unseen” completely new and interesting and wonderful and the second “The Girl Who Circumvented Fairy Land in a Ship of Her Own Making.” This book has the most delightful sentences and words and it’s so so so charming. Looks like a woderful prize. Thanks, Bonnie! I’m glad you stopped by! This is an awesome giveaway.I love it all.I have enjoyed a lot of reading this summer. Hi Susie, What’s really interesting, is that I have learned that Baum based his whole “Wizard of Oz” story on the Macatawa area and Castle Park in Holland! I heard it from my sister, and today from a very elderly couple who lived in Macatawa for many years….so I hope this is true. It’s only about 1/2 mi. from where I live now….so very interesting and exciting! Just f.y.i., in case you didn’t know! I did know that! Isn’t that so very interesting?